An artist creates an original model from clay or other material. Heather makes her own clay out of recycled wax from her foundry, used olive oil and powdered earth. This special formula retains it’s softness and workability for years and can be melted down to recycle into future sculptures. 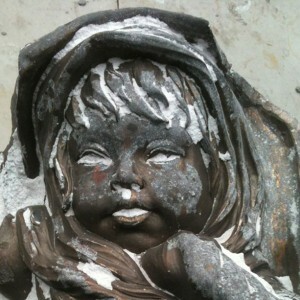 A mold is made of the original sculpture. 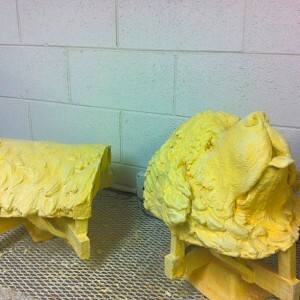 The rigid outer mold, or mother mold, cradles the softer inner mold which is the exact negative of the original model. Inner molds are usually made of silicone rubber. The mother mold is made with plaster or other materials. Most molds are at least two pieces and a shim with keys is placed between the two halves so the mold is put together accurately. Pieces sticking out of, and away from, the main body of the model are often cut off and molded separately. Once the mold is finished, it is pulled apart and the clay is removed. The mold is put back together and molten wax is poured into it and the mold is rolled around until an even coating, usually about 1/8 inch or 3mm thick, covers the inner surface of the mold. This is repeated until the desired thickness is reached. 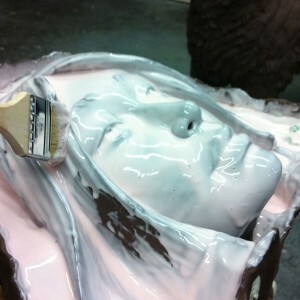 The hollow wax copy of the original model is removed from the mold. The model-maker may reuse the mold to make multiple copies, limited only by the durability of the mold. The original sculpting tools are used to remove any marks in the wax that might show where the pieces of the mold came together and to fix any imperfections. 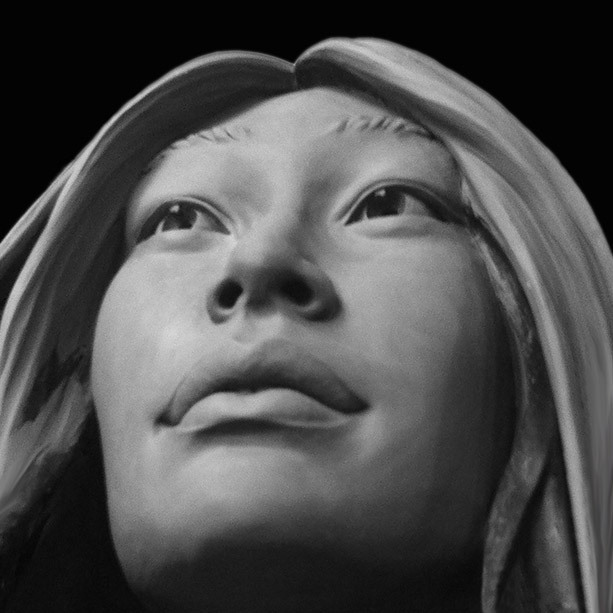 The wax now looks like the original sculpture. The wax copy is attached to a treelike structure of wax “gates” that will eventually provide paths for molten bronze to flow and air to escape. The carefully planned system usually begins at the top with a wax “cup” which is attached by wax cylinders to various points on the wax copy. These gates don’t have to be hollow as they will be melted out later in the process. A gated wax “tree” is dipped into a slurry of fluidized silica sand, then laid onto beds of dry silica sand of varying courseness. The sand is sifted onto the whole tree and is allowed to dry. The process is repeated until at least a half-inch coating covers the entire piece. The inside of the cup is not coated and the cup’s flat top serves as the base upon which the piece stands during this process. 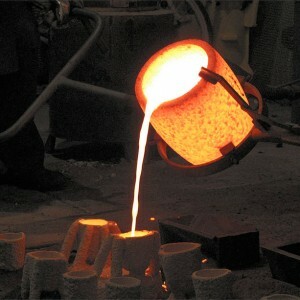 The shell-coated “tree” is placed cup-down in a kiln, whose heat fires the shell, increasing it’s strength. The wax melts almost instantly and runs out of the shell, to be collected and recycled. Now all that remains of the original artwork is the negative space, formerly occupied by the wax, inside the hardened ceramic shell. The feeder, vent tubes and cup are also hollow. 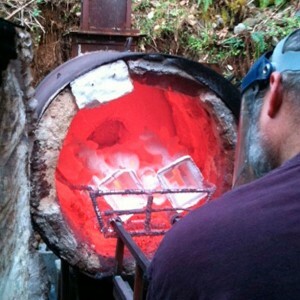 The shell is reheated in the kiln to 1,800F, then placed cup-upwards onto a steel tray filled with sand. 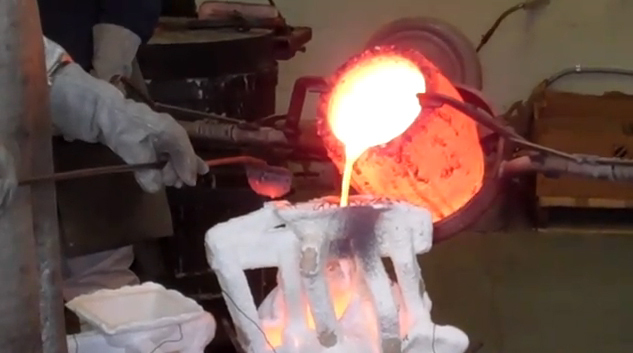 Bronze is melted to 2,100F in a crucible in a furnace, then poured carefully into the shell. If the shell were not hot, the temperature difference would shatter it. The filled shells are allowed to cool. The shell is carefully chiseled and sand-blasted away, uncovering the rough casting. The sprues which are also faithfully recreated in metal, are cut off to be melted down and recycled for another casting. The casting is welded back together if it had to be cut up. Weld beads are tooled and sanded with air powered tools. Any other telltale signs of the casting process are also removed, such as pits left by air bubbles in the casting, or attachment points of sprues. 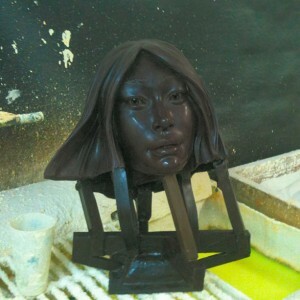 The bronze is perfected until it matches the original sculpture exactly. Artists and metalworkers deliberately add patina, using natural various metals dissolved into their natural base salt form, as a part of the original design and decoration of a bronze sculpture, or to simulate antiquity in newly-made objects. They are used for color, texture or both. Patination composition varies with the reacted elements and these will determine the color of the patina. Exposure to chlorides leads to green, while surfur compounds, such as “liver of sulfur”, tend to black and brown. Patination is deliberately accelerated by heat. Colors range from matte sandstone yellow to deep blues, reds and various blacks. Surface sheen enhanced and protected by waxing. 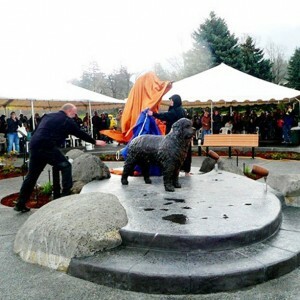 Each bronze sculpture is installed according to all conditions that may affect it; weather, traffic, desire for future movement of the monument, etc. 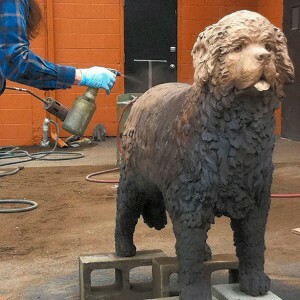 We deliver the sculptures and also work with your contractors or install the piece ourselves. 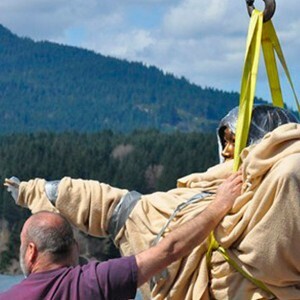 In this photo we have Sacagawea covered so she is not seen before her grand unveiling, but the commissioning party desired that she be looking downriver, so her face is peeking out while my contractor adjusts her position. Plan your unveiling on the wildest day possible. Hail, thunder and lightning. The skies open up, embracing your creation. Make art exciting! 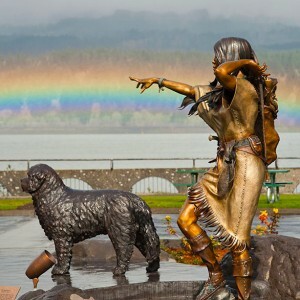 After the unveiling of Sacagawea and Seaman during a wild and torrential downpour mixed with hail and thunder, the clouds cleared and the most gorgeous rainbow blessed the new monuments.